First things first. Happy birthday, Obi-wan! You’re the best Jedi Master we could ask for. Thank you for sharing The Force with us. I love you. 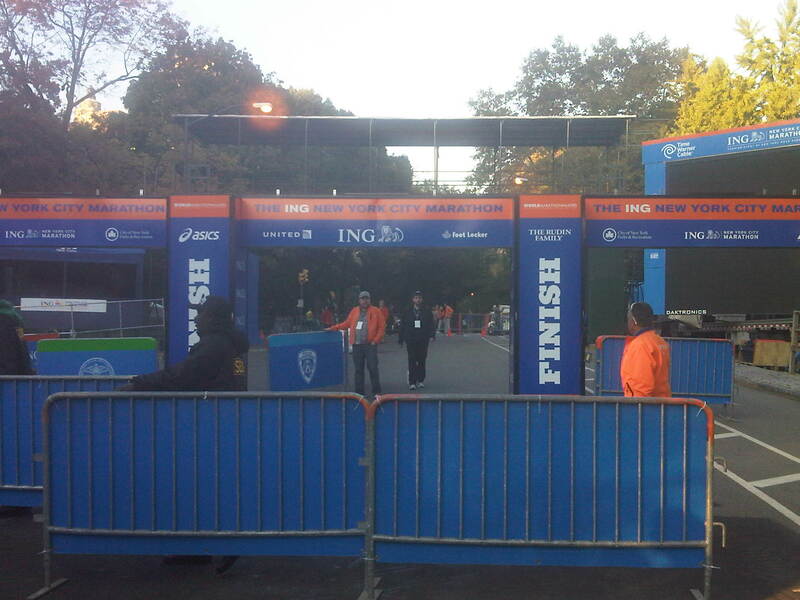 Second, congratulations to all of the 2011 ING NYC Marathon finishers! 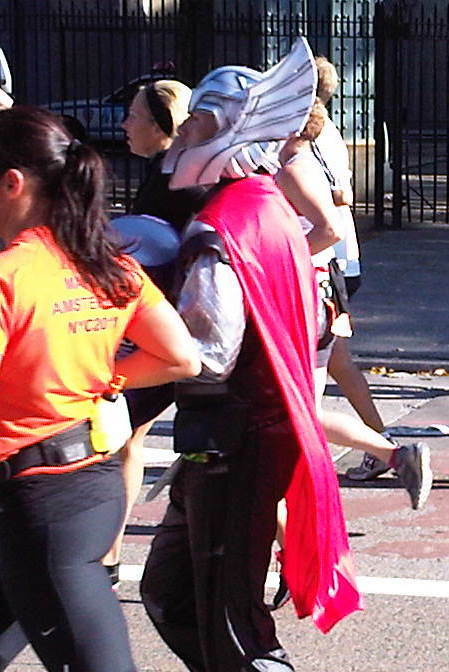 I saw approximately all of you yesterday (I was at the cheer station until the sweep vehicle came by and the streets re-opened) and you were a beautiful mass of sweaty runners that inspired all of us in the crowd with every step you took. Well done. 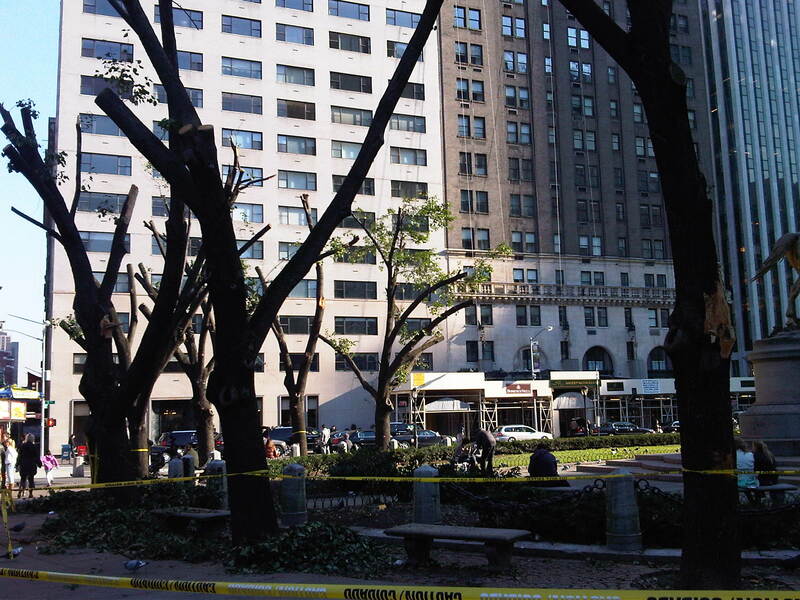 I think we were all a little scared when the snow swept in last weekend and decimated our beloved trees. Oh no! Our poor trees! 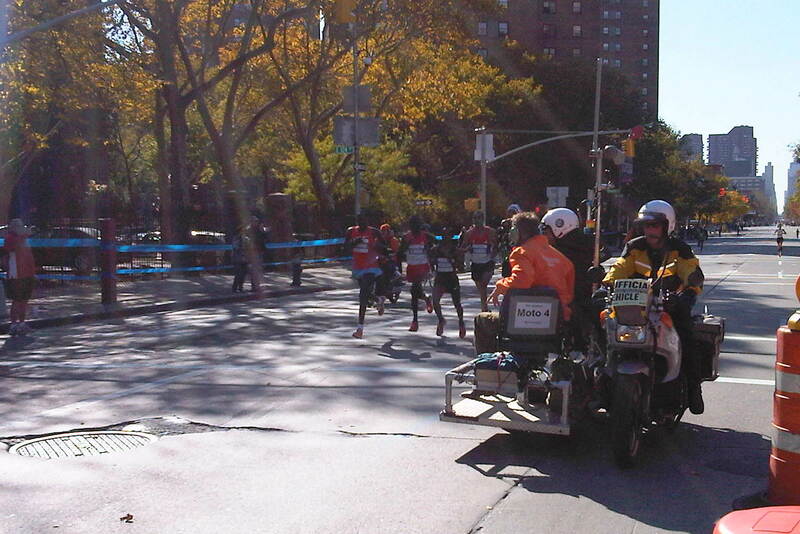 Thankfully, it was GORGEOUS outside and the sun shone on all of the marathoners all day long. They even worked night and day to got the park cleared up by Marathon Sunday for the tourists to admire our beautiful fall foliage without fear of a giant branch falling on their heads. Well done, Parks Department. Cheering was awesome. We were up on 1st Avenue early enough to see the elites. One of the 4 signs I made. I'm a cheerleader overachiever. The women’s race was a nail-biter with Firehiwot Dado pulling out the win in the last 300 yards. The men’s race was equally exciting with Geoffrey Mutai setting a course record, beating his own personal best in Chicago. Meb ran his personal best, better than his own win two years ago, which earned him sixth this year. Jen Rhines dropped out of the race and the first women runners from the USA to finish were two newbies to the marathon world, Molly Pritz and Lauren Fleshman. 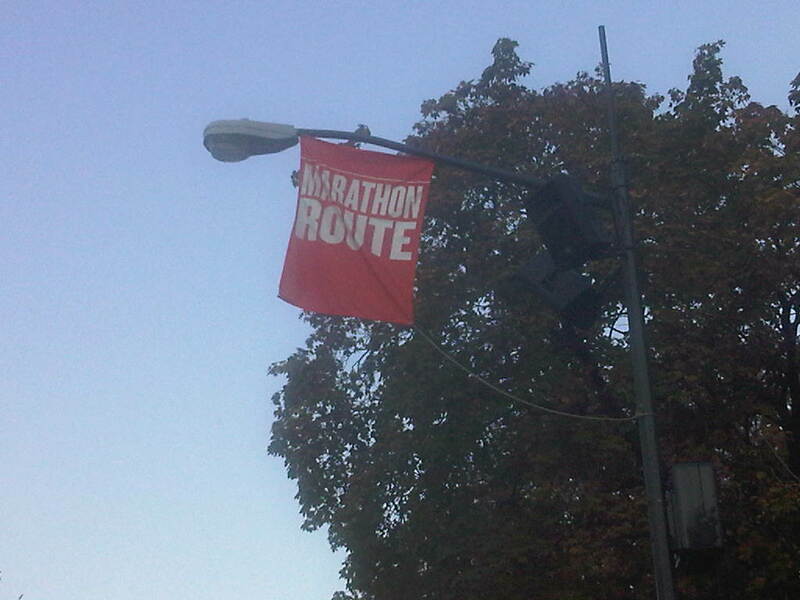 All in all, a very exciting marathon to watch. The elite men go zooming by us. It’s great to watch the elites, but the warriors in the pack are the ones I come to see. After the 4 hour marathoners pass, things get fun out there. 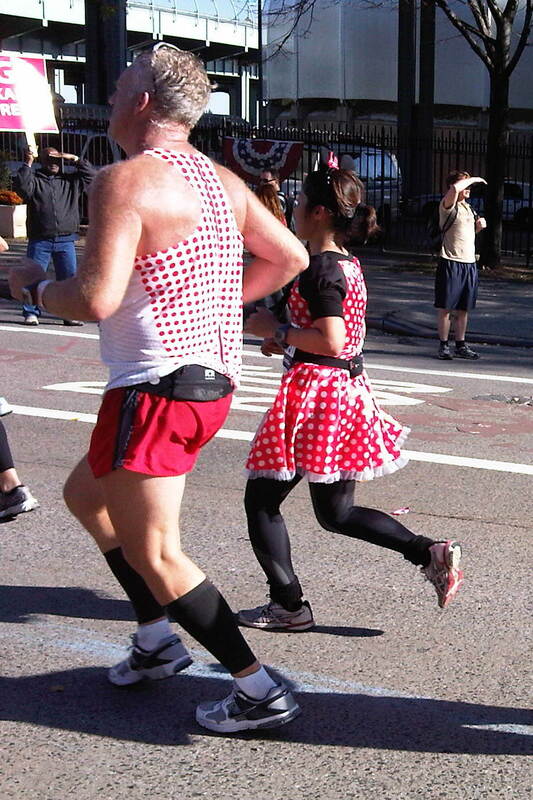 People are trudging through those hard miles, yes, but I think they are also the ones having the most fun out there. 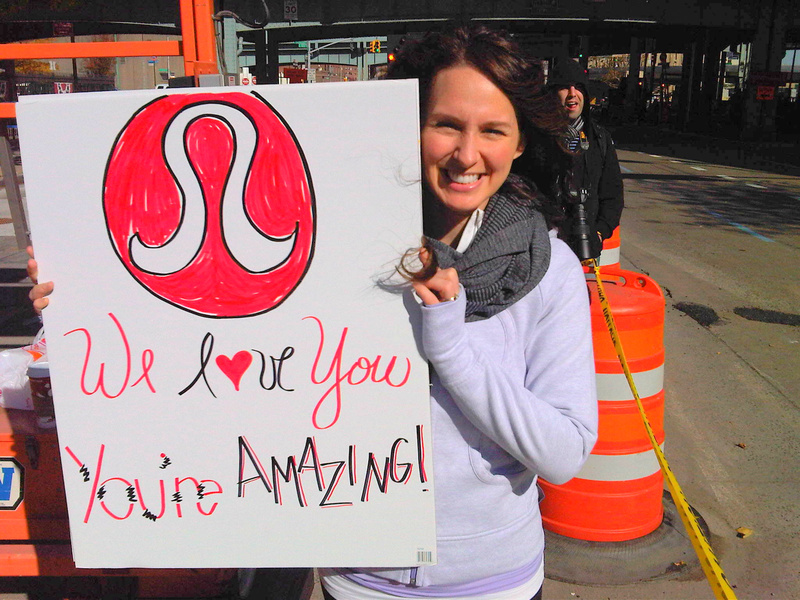 Especially at mile 22 where our lululemon athletica cheer station was, complete with a DJ and awesome signs. We danced until the sun went down on 5th Avenue. 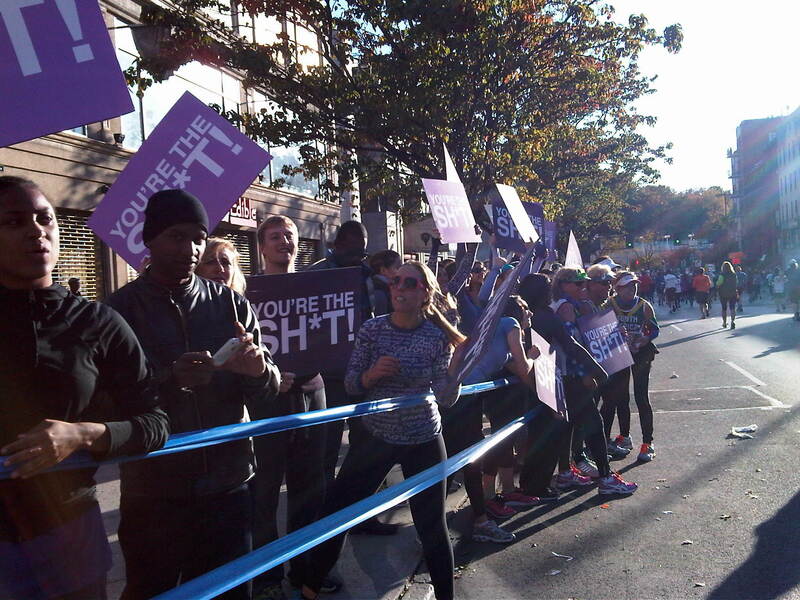 Yes, our signs say: "You're the sh*t" because you totally are. …or another finish line, you take several days of active rest and stretching before you think about getting all geared up for another race. I suggest two days of walking or swimming or gentle cycling followed by deep stretching and *hopefully* a massage or a good foam roll. Get going with running on the third or fourth day and take it easy. It’s all about the recovery run. Oh, and NSAIDs for muscle soreness is a must. At least, it is for me in the days following a marathon. Advil is my friend. And food. And water. You know, the basics. Post-marathon depression might be something you experience, especially if you don’t have another race on the docket. Think about picking up a half or a 15K in the next two months or so to get yourself going again relatively soon. There’s nothing worse than loving every moment of your marathon training only to find yourself without any direction immediately after crossing the finish line. Find a fun run in December or January and really make it FUN. …but we gotta survive the taper first. Again, congratulations to all who finished, especially my friends who rocked. You guys inspire me. thanks for all your cheering 🙂 it was SO needed at mile 22. i had my family and friends stationed not too far after at 22.5. what a great way to start your taper for philly too! i’m sure you’ll rock it! Thanks, Ellen! We had a blast cheering for all you fabulous runners. Congratulations on your finish!